These stunning Chinese vases are lavishly decorated with images of the natural world, depicting beautiful birds in a luscious floral landscape. The vases are baluster form, with flared feet and necks and large ovoid bodies. 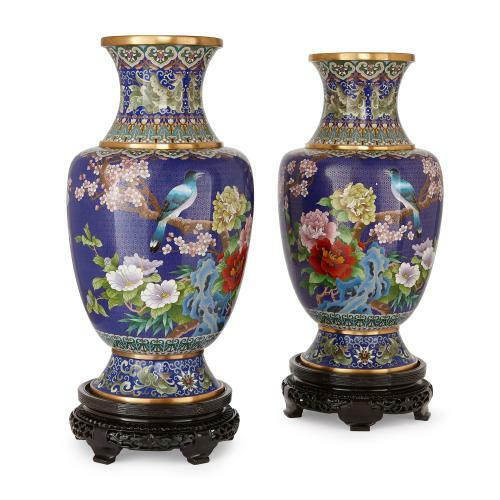 Their bodies are finely decorated with colourful cloisonné enamel designs, depicting birds perched on plum blossom branches, and a variety of flowers, including peonies, chrysanthemums, camelias, and lotus. These images are set against a deep blue ground. 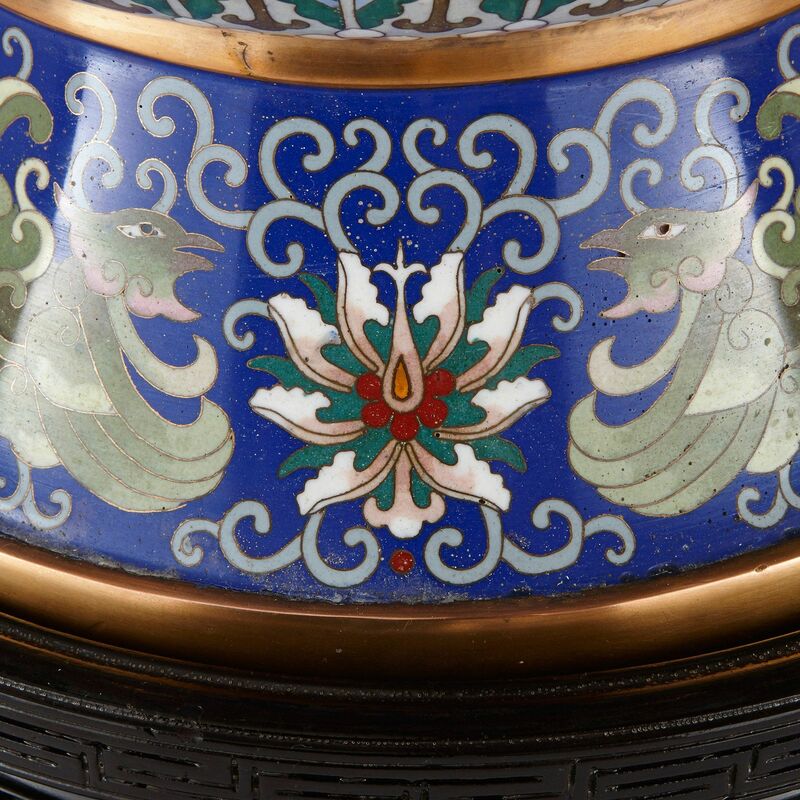 Similar cloisonné enamel stylised vegetal and ornithological motifs decorate the vases’ feet and necks, with the addition of scrolling geometric patterns. 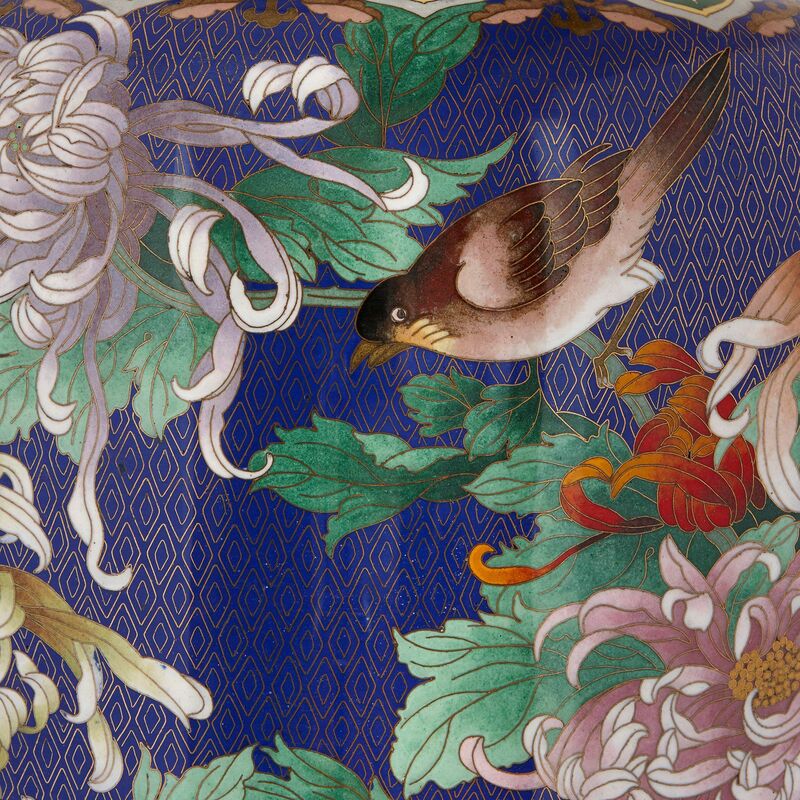 In the cloisonné enamel technique, metal ‘cloisons’ (cells of space) are applied to an object’s surface and filled with vitreous enamel. The cloisons then show as decorative geometric patterns on the object’s body. The vases are set on circular wooden bases, which are decorated with openwork foliate carvings, and set on shaped feet.